Straight Teeth in Just Months, Not Years! We all know what an essential role your smile plays in your self-esteem. Misaligned teeth can also cause pain and adversely affect your ability to chew, talk, and keep your teeth clean and healthy. We have two options for patients 15 and older that can provide straight teeth in just months for most patients! 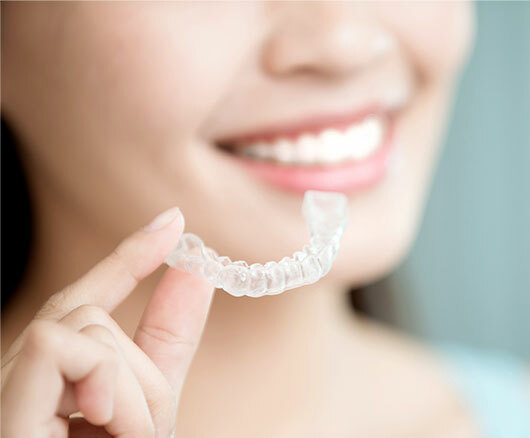 Invisalign™ uses clear, nearly invisible custom-made aligners which are replaced every two weeks. No metal or wires means less time in the chair getting adjustments. Plus, they are easily removable so you can eat and drink what you want while in treatment. Even brushing and flossing are no problem! The patented Inman™ Aligner gently guides your front teeth to an ideal position in just 6–18 weeks on average. It’s safe and efficient and can be used as a stand-alone treatment or to straighten teeth prior to other cosmetic procedures. The aligner is also removable, so you can take it out to fit with your lifestyle. A straighter smile is just a phone call away! Call for a no-cost/no-obligation consultation at (207) 808-7939 to determine if you’re a candidate for these options.